Mobile time tracking is becoming an important part of work life as more and more people look to maximize their productivity and efficiency. 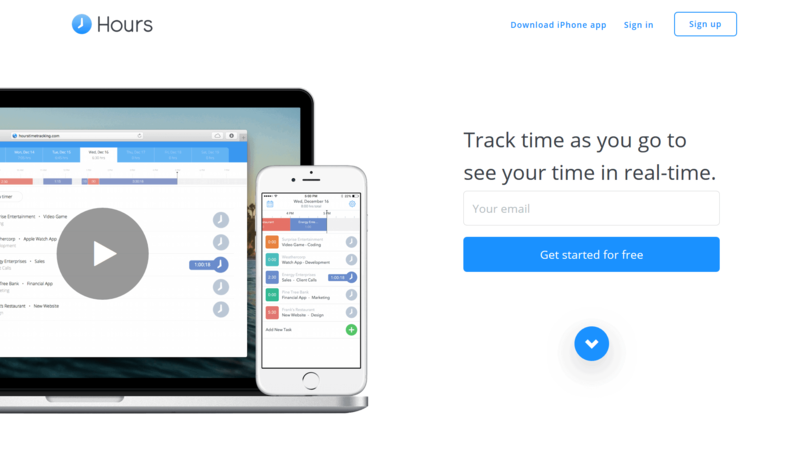 Time tracking apps, both on desktop and mobile, are being used by some of the world’s most productive people to improve their output, and increase the amount of time they can spend away from work. Every industry from construction companies to sales teams, landscaping crews to cleaning companies, and more, are able to easily keep track of crews as they travel from job site to job site. 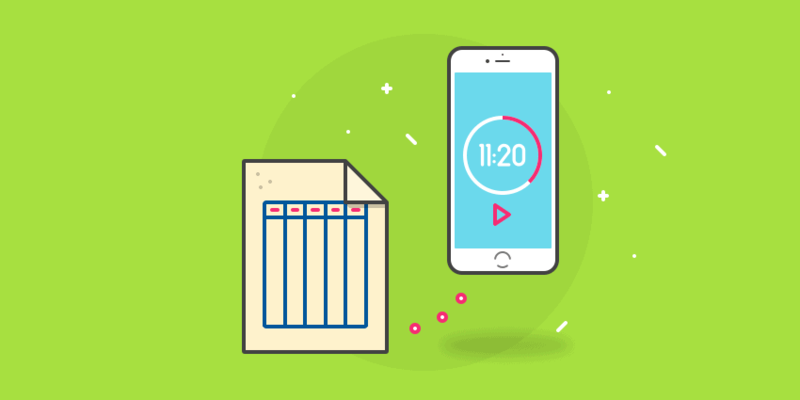 Mobile time tracking has immense benefits for mobile teams and can help make billing easier, increase efficiency, and maximize your work time. But while the benefits of mobile time tracking are clear, it can be quite difficult to decide which time tracking app is best suited for your unique needs and business, as there are so many solutions on the market. Thankfully, we’ve taken a look at the apps on the market and made a list of the 7 best mobile time trackers so that you don’t have to spend ages looking for a perfect solution. Hubstaff is a powerful and, according to our users, intuitive time tracking app with advanced features that are perfect for those looking to take control of their time. Managers can gain a complete understanding of what their team is working on each day. Billing and invoicing are also made easier as these processes can be automated. Hubstaff provides accurate GPS location tracking for mobile teams in industries such as consulting, construction, cleaning, landscaping and more. With location-based mobile timesheets, Hubstaff eliminates the need to repeatedly ask what your crew have accomplished throughout the day. Additionally, the app supports integrations with a large selection of platforms like Asana, Basecamp, Trello, and more. This makes using your existing business software in conjunction with time tracking a much smoother process. Hubstaff is available as iPhone and Android apps, and also comes with powerful companion web and desktop applications, so you can sync your reports on any device you want. This app is free for solo users. The Basic plan costs $5/month per user, while the Premium plan (all features included) costs $9/month per user. Timely is perfect for organizations with mobile teams that are looking to gain a better understanding of how they spend their days. With iPhone and Apple Watch apps, Timely works across devices and makes it easy for you to track your productivity as you travel to and from job sites. With calendar integration, and the ability to set the billing cost per unit of time for individual projects, Timely makes it incredibly easy for companies to see just how much billable work they are getting done each day, and what their productivity levels are like. Plans for Timely start at $7/month for one user and 3 projects, or $14/month per user for a regular plan that offers unlimited users and projects. Toggl is used by over 1.5 million people across the world to keep track of time and maximize billing. 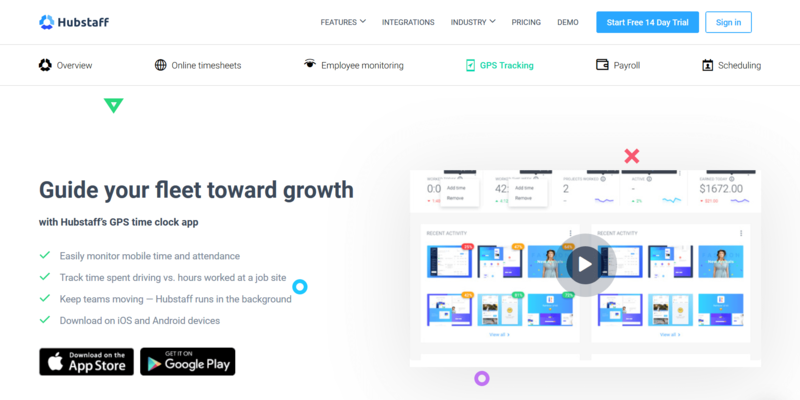 With one-click time tracking and comprehensive reports, Toggl is perfect for remote teams or companies on the go that are looking for a better way to keep track of the time they spend working on projects. 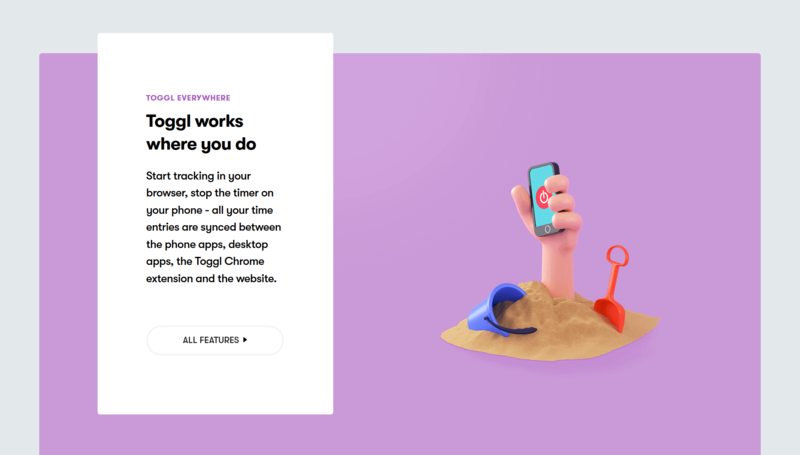 With support for various devices and platforms (including a Chrome extension) and offline time tracking, Toggl makes it easy for you to track your time anywhere, so you can be sure that you can bill every hour you spend working. Toggl’s Starter plan, which includes the basic functionalities, is priced at $9/month per user. The Premium plan includes additional features like tracking reminders and profitability charts and costs $18/month per user. Hours is a mobile time clock app best suited to those who want an easy introduction to time tracking and aren’t looking for advanced features. It has a free tier that offers support for a range of devices, a web app, and attractive information-rich reports. Hours’ basic free tier is a more limited option compared to other time trackers, but the features offered are executed really well. The team offering boasts fully integrated time tracking and allows managers and employers to track, analyse, and compare all of their employees’ performance and productivity over time. Hours’ UI is clean and incredibly easy to understand. Pro and Team Pro pricing starts at $8/user per month. TSheets is a comprehensive mobile timesheets app that offers advanced features perfect for distributed teams, consultants, construction crews, and those managing mobile workers. The platform boasts online/offline indication, payroll processing, job costing, invoicing, integration capabilities, offline support, time tracking via SMS, dial-in time tracking, and much more. TSheets makes it incredibly easy for teams of all sizes to track their time effectively. TSheets is free for solo users. It has a Small Business plan that is priced at $5/month per user with a $20 base fee per month, and an Enterprise plan at the same rate with a $100 base fee. As the name suggests, RescueTime aims to help you get back some of the time you waste each day and put it to better, more productive use. Unfortunately, its mobile version is only available for Android users. RescueTime provides detailed productivity reports, goal setting, weekly summary emails, productivity scoring, and site blocking, to help you maximize your productivity. 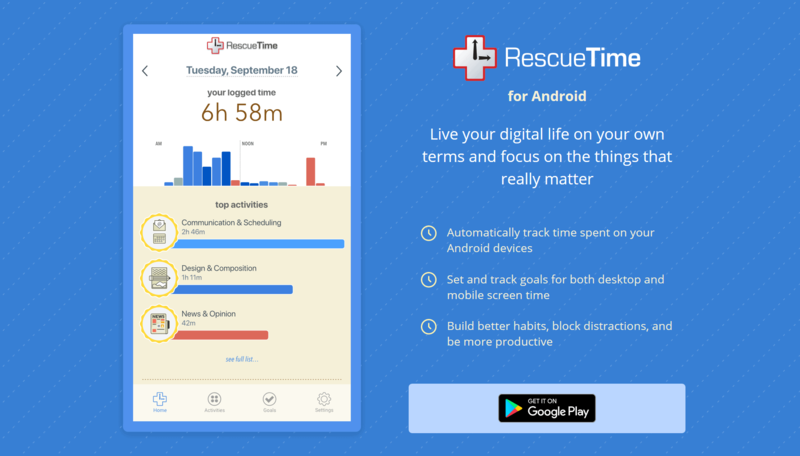 Perfect for individuals and mobile teams such as landscapers and home healthcare, RescueTime offers both a free tier and a premium plan which starts at $9/month. 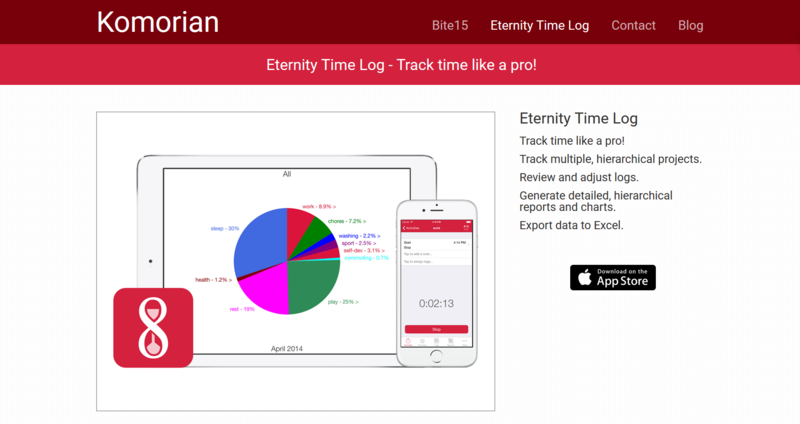 A more lightweight mobile time tracker that is suitable for freelancers or those who want to track their time but are not mandated to do so by an employer or client, Eternity offers some well-constructed features that make time tracking easy. Individuals can gain a comprehensive understanding of how they spend their time due to the app’s detailed reports. Eternity also empowers you to gain better control over your day by allowing you to segment your time and allocate different tasks to different days of the week. With support for multiple projects, and cloud syncing, Eternity is a simple time tracker that focuses on the basics and does them well. Eternity is free but does offer in-app purchases. Have you found your perfect mobile time tracker? Mobile time tracking apps are perfect for freelancers and for those managing distributed teams. They allow both managers and employers to track how efficient and productive their teams are, and empower individuals to be more accountable for their work. Companies that implement time tracking in their workflows find that their employees become more motivated, productive, and that they are able to increase their client billing. Do you have a favorite mobile tracker app that we’ve missed? Share it with us in the comments below, and let us know how and why it’s worked well for you! This post was originally published September 1, 2016, and updated November 12, 2018.